I love Hulk now. Wasn't expecting that one. 1. I have been talking about it all week. 2. You've probably already read a review of it if you were going to read a review. 3. My friend Anders already reviewed it here. So just read that. Instead, I'll just sum up my impressions. Most important impression? It was really freaking funny. I mean, we sort of take for granted these days that superhero movies other than the Christopher Nolan Batman series are tongue in cheek, but this movie was written by Joss "Try to get me to stop writing quippy dialogue, I dare you" Whedon. It was freaking hilarious. Every scene of genuine emotion and pathos was gently undercut by a witty one-liner that somehow managed to drive the emotion home, without ever letting it get sappy. Steve Rogers exulting in the moment he actually gets a pop culture reference. Pepper and Coulson being biffles. And absolutely everything that Bruce Banner/Hulk did and said. That last one kind of surprised me, as you may remember from an earlier post, I'm not the biggest Hulk fan. He never did anything for me. Well, now he does. Favorite. Character. 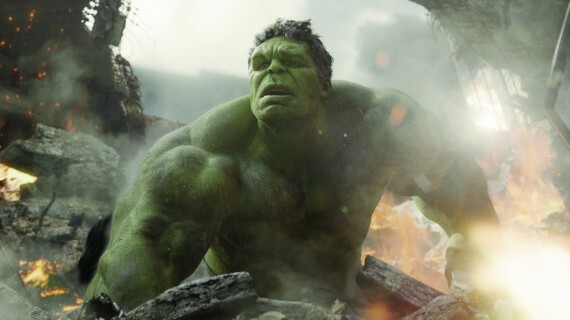 Also, I've heard that Mark Ruffalo is contracted for another six movies, which is very, very good. 1. In lady related blogging news, Becky Allen from Becky Allen's Sporadic Blog wrote a fantastic article on why female characters are not like the Highlander, and we can like more than one at a time. Check it out here. 2. In news that makes me feel very cool, my friends/mentors Nunzio deFilippis and Christina Weir just sold the rights to their Amy Devlin graphic novel series to E!. I'm pretty pumped, because it's a great series, and this is E! 's first foray into scripted (well, officially scripted) television. Also, their new comic, Bad Medicine, is available for free today in comic book stores across the country, because this is FREE COMIC BOOK DAY! Check out their site here. 3. In news that makes you both sad and happy, there is a growing movement among Afghan women to express their frustration and fear about their place in society through poetry. These women often risk their lives and reputations to do so, writing anonymously in small villages, some even refusing to be identified or write their poetry down for fear of being caught. Read more about them here. 4. In news about things that we already kinda know, but always enjoy reading about, Andrew Wheeler at ComicsAlliance has written an article about Batman's gayness. It's not that he's canonically gay, but more about what he means to the gay community. But I figure you stopped reading this at "Batman" and "gay", so here's the link. 5. And, finally, in news that's a little stale, but what do you care?, Hank Green and some other people I am less familiar with, have teamed up to create The Lizzie Bennet Diaries, a hilarious web series that follows the plot of Jane Austen's Pride and Prejudice. Seriously, it's really freaking funny. Check out episode one below. And that's this week in links! I attended my first LGBT Pride festival in Allentown, PA and enjoyed every minute of it. As you can see from this title.